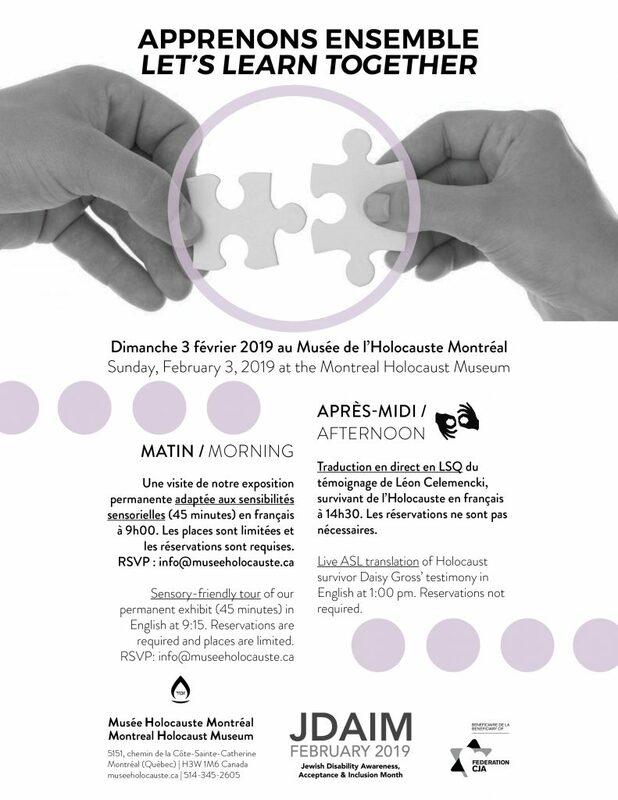 In celebration of Jewish Disability Awareness and Inclusion Month (JDAIM), the Montreal Holocaust Museum is organizing a special open house event with Holocaust survivor testimony translated live into sign language. Learn more about the history of the Holocaust from those who survived it. Hear testimony from survivors highlighting personal experiences during the Holocaust, and visit the Museum free of charge. 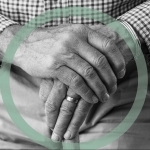 February has been designated as Jewish Disability Awareness and Inclusion Month (JDAIM), to support the meaningful inclusion of persons living with disabilities and their families in every aspect of Jewish life. The Montreal Holocaust Museum is wheelchair-accessible. The entry to the building (on chemin de la Côte-Ste-Catherine) has an access ramp and the Museum is equipped with an elevator to facilitate access to both floors of the exhibition. While the Museum does not offer reserved parking, there is free parking available on adjacent streets.